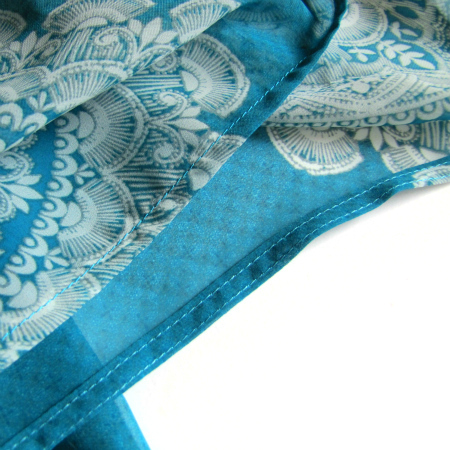 The Haby Goddess: Tutorial: How to hem Chiffon and other sheer fabrics. Tutorial: How to hem Chiffon and other sheer fabrics. 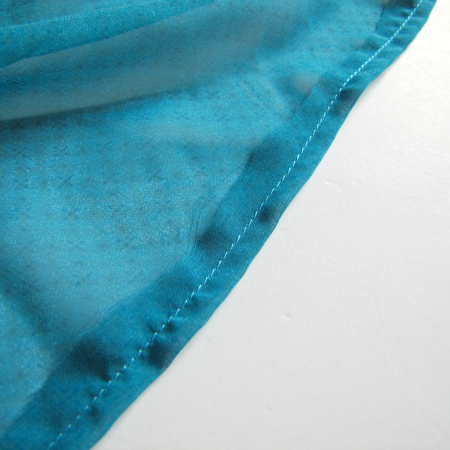 When hemming any fabric that is sheer, the main aim is for your stitching to be neat - otherwise you will see it! Use the easy tips below to achieve a perfect hem every time. The secret is to use one of these - a 1/4 inch seam foot. 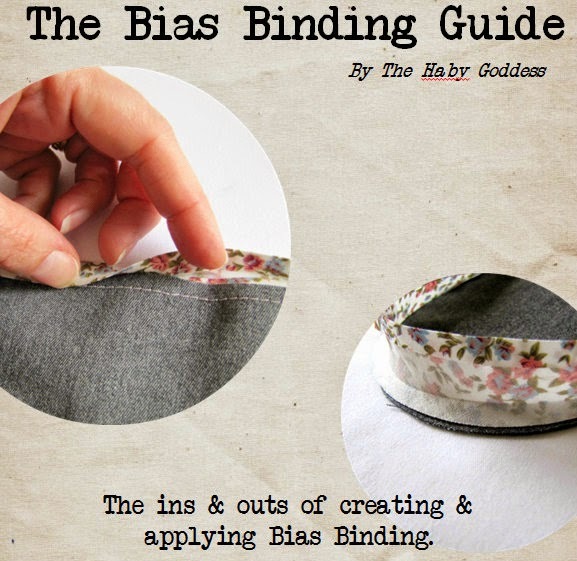 The little guide helps you sew straight, narrow hemming rows. Fold over your hem allowance, minus 1/4 inch. 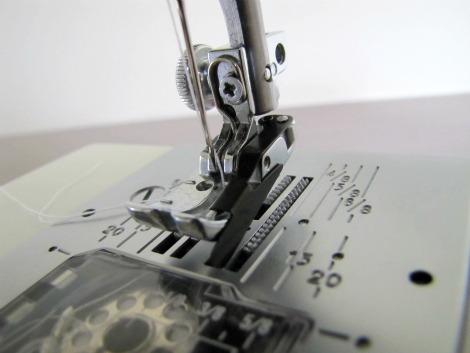 Using the machine foot as your guide, sew your hem using a normal straight stitch. 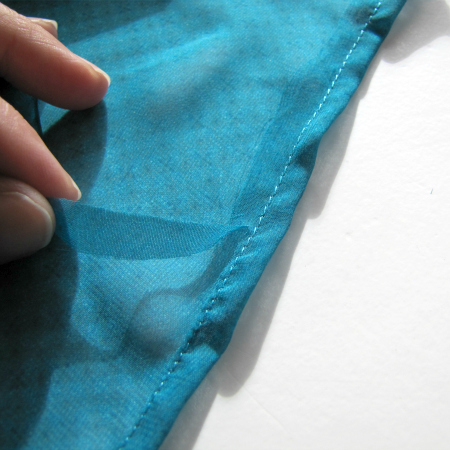 Trim back your hem close to the first row of stitching, careful not to nick your fabric or stitching. Press your hem and fold over so the the first row of stitching is sitting just over the fold edge. 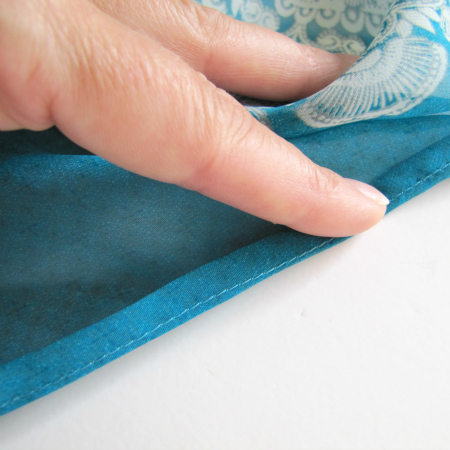 Turn your fabric over to the front side and again using your 1/4 inch foot, sew a second row of stitching. You will be left with two very even rows of stitching with only one row showing through to the front side of your fabric. 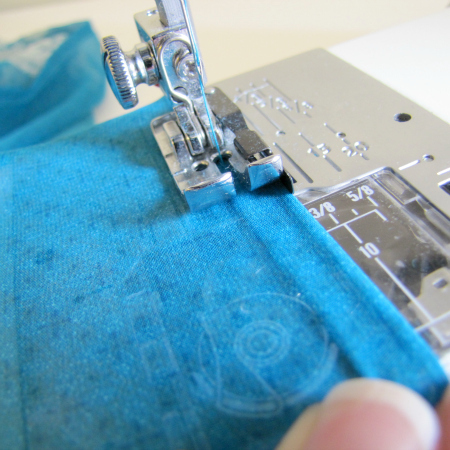 Want to learn how to sew from the convenience of your own home? 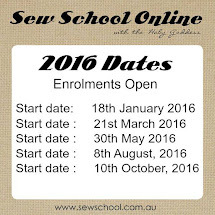 Check out Sew School Online. Another great tutorial. Thank you! I've avoided hemming my daughter's blouse for THREE years because I didn't know how to hem sheer fabric.! Now I'll be able to do it. (She probably doesn't even want it anymore. LOL) Thanks! I've alwasy wondered how other people get there's done so neatly, and now I do. Thank you for the helpful tutorial. Great advice! I just got one of those feet. Now I know just how to use it. Oh my goodness, you just became my new favourite person! Every tutorial for hemming chiffon that I've found has used a fancy hemming foot, yours is the only one without it! I'm a uni student, and I've got a new-ish machine but it's basic, and I don't have any extra feet for it. Finally, I can sew up my chiffon shirt I've been planning! Thank you! I have purchased several rolled hem feet for my machine and can't make any of them work!!! Thanks to this GEM of a tip ....I don't have to! I have NEVER been able to successfully use. Now thanks to you...I don't have to!!! !